Call us today and ask about our Interest Free Financing for all of your automotive repair needs. 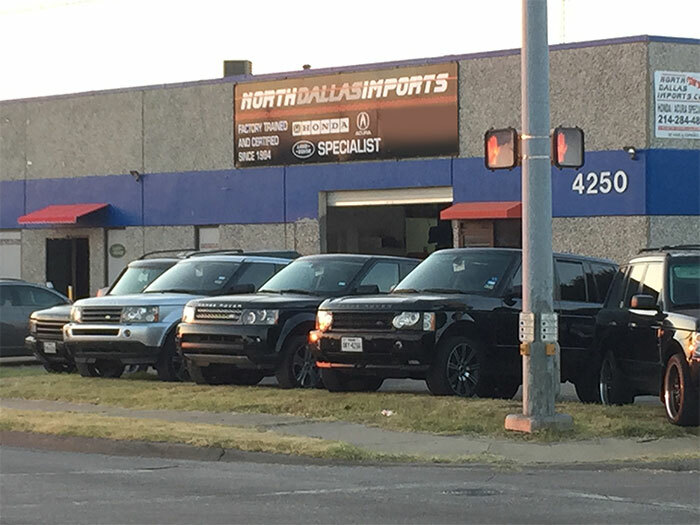 Welcome to North Dallas Imports in Garland offering the best in auto repair services. 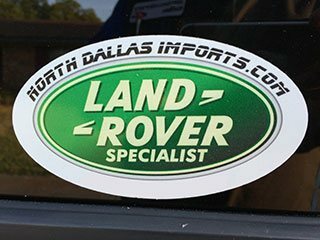 Our auto mechanics are highly trained, with two of our techs even holding the prestigious hard-earned honor of achieving Master Certifications in Land Rover and Honda. 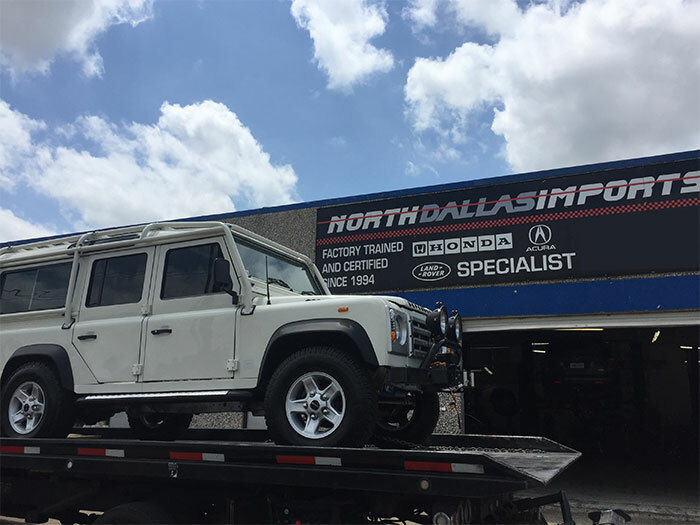 What this means to you is that when you bring in your beloved vehicle, you can count on receiving the highest quality in workmanship on your Land Rover, Honda, BMW, Mercedes, Audi, or Volkswagen. We pride ourselves in delivering high-level service, both under the hood and across the counter. We have earned a reputation for honesty and integrity and we greatly value our relationship with each and every customer we meet. 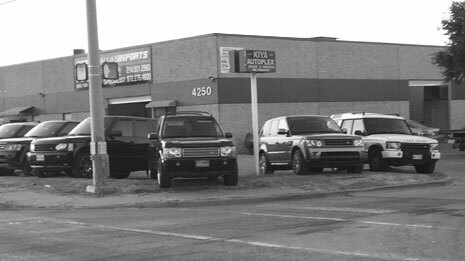 When you drive onto our facility, you will be warmly greeted and can rely on a transparent approach to how we do business. We will make sure you understand exactly what work we plan to perform and why. 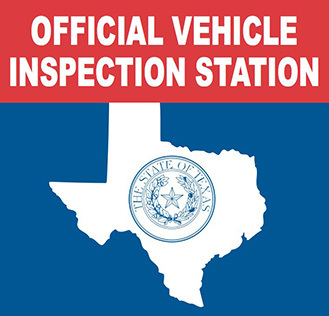 We offer digital inspections to help you see what our highly trained auto mechanics see and this also helps in the explanation process. 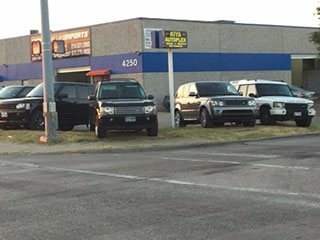 We have recently remodeled our waiting room to create a comfortable and attractive space with WiFi if you choose to stick around while your Land Rover or other vehicle is being serviced. If you have somewhere else to go, we will help you get there. If close by, we’ll drop you ourselves. If you have farther to go, we will arrange an Uber. “I was referred to Eddie by my brother, who is also an automotive tech, it was one of the best experiences I’ve had with dealing with a repair shop/dealership. All the prices they quoted were the exact prices I had to pay. They made sure to explain all the problems they found and made sure to tell me the repercussions for not getting certain things taken care of. 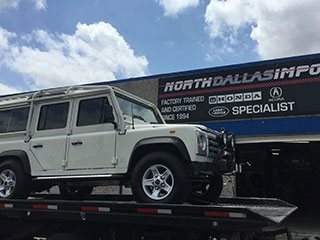 They were fast and took very good care of me and my car and I will definitely be going back for other services and would recommend them to other people.” -- Angelo C.
North Dallas Imports in Garland believes in providing you and your Land Rover, Honda, Toyota, BMW, Mercedes, Audi, or Volkswagen dealership-level knowledge with concierge-level service at reasonable prices. Our highly trained service advisors and auto technicians will educate you on your vehicle’s needs, knowing that you are the pilot. 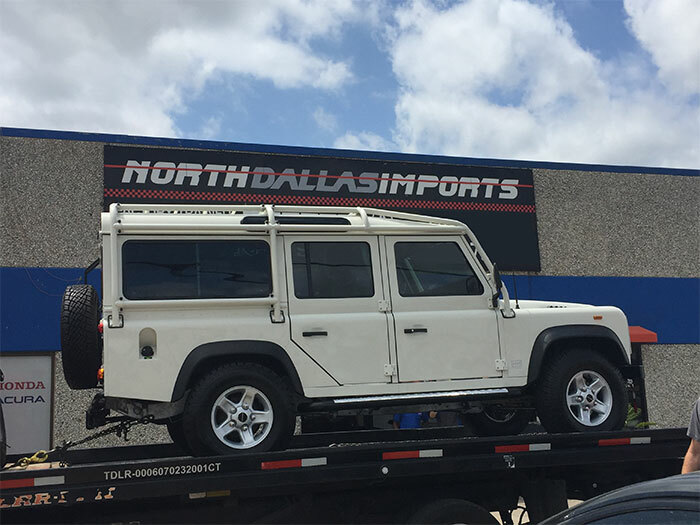 You will never be oversold and will always have confidence in the decisions you make regarding the maintenance and repairs your automobiles receive from North Dallas Imports. 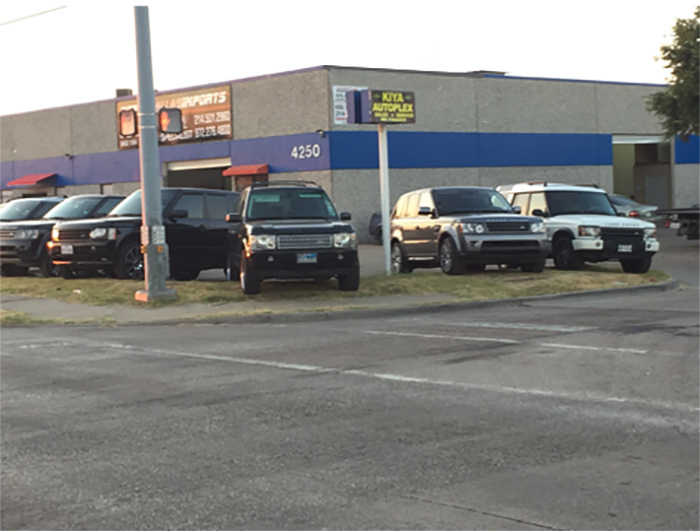 Schedule an appointment today, or stop by at 4250 Forest Lane, Garland, TX 75042. 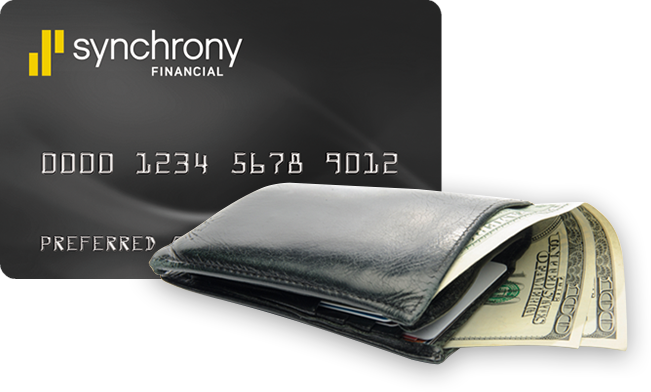 6 months special financing now on purchases of $199 or more with Synchrony's Synchrony Car Care™ Credit Card. 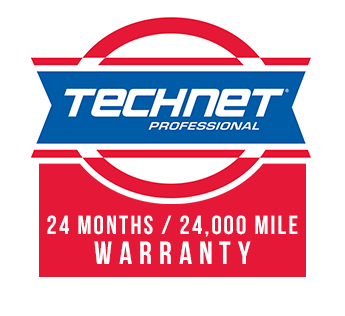 It’s a written warranty that is honored at more than 14,000 locations nationwide–more than any other automotive repair brand. 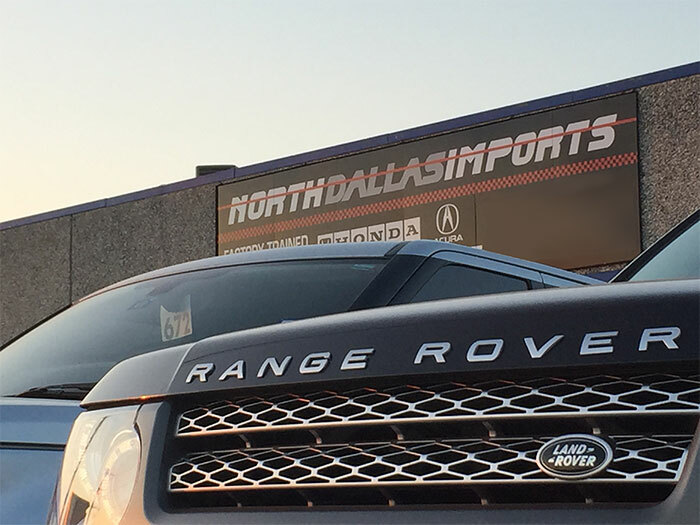 "North Dallas Imports is the absolute best! Eddie and his team are wonderful and professional. The location is great and the prices are even better. I called around to a few places and they were not only far but over priced for what I needed done. Eddie was very detailed and kept in touch with me every step of the way and explained everything to me and made sure I was comfortable with any work that needed to be done. He also gave me pricing up front for anything he needed to do. He’s very honest and I’m so glad to have found a place to take care of all my car needs. Thanks Eddie!" 5 Star Review by Arlene O. 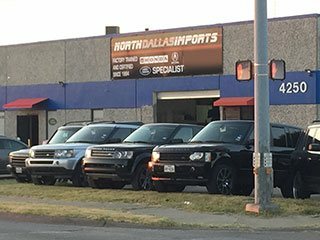 "I have been using North Dallas Imports as my mechanic for approximately two years now and I would not take my vehicle to any place else. I love the fact that Eddie and his team will advise me of upcoming issues that they can forecast, and I know that I am getting a fair price. I have never felt as though the price has been inflated because of my gender. 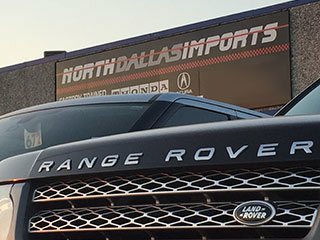 I would highly recommend North Dallas Imports to anyone!!!! I only wish that everyone I knew only owned Honda vehicles so they too would have a reliable and trustworthy mechanic. 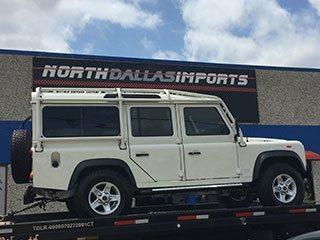 Kudos to Eddie, Andy and the entire North Dallas Imports staff." 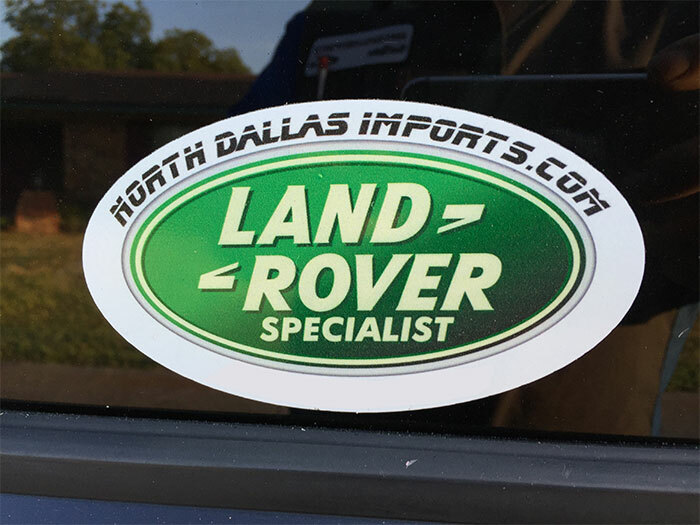 5 Star Review by Summer L.
"The North Dallas Imports team is the best! Me and my family always take our cars here to get everything done. We’ve been here for years and they never disappoint us. They are honest and give out the best advice on what’s best for your car. They are super friendly and hardworking. They are super knowledgeable on cars and the parts, you could learn a lot from them. Eddie is very good at his job and i wouldn’t trust no one else with my car other than north dallas imports. I can’t thank them enough for always taking care of my car with their hardwork, effort and high quality of work. I highly recommend this team!"